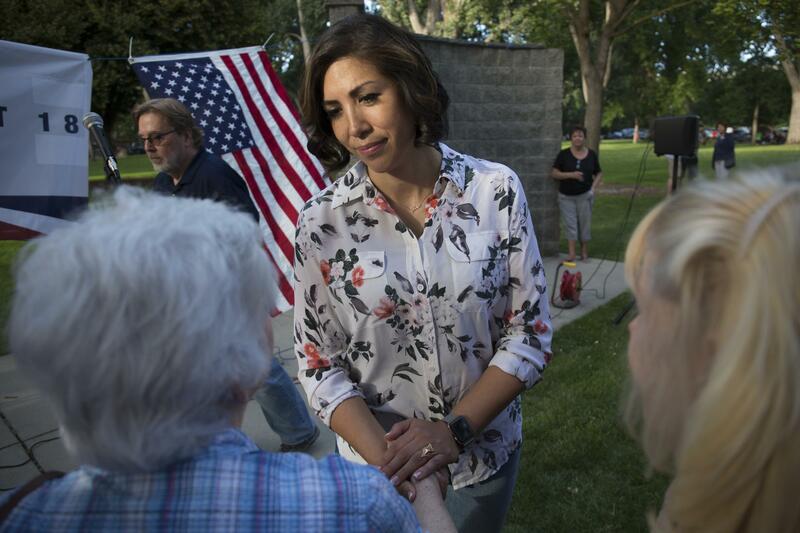 Democratic gubernatorial candidate Paulette Jordan is defending her use of nondisclosure agreements and the latest round of staff shakeups. Jordan immediately blasted the Idaho Statesman when asked about requiring staff members to sign nondisclosure agreements at a forum in Idaho Falls on Thursday. “You know, the media really lack integrity with the Statesman. It’s unfortunate,” she said. The Statesman was the first to break the story last week that three staff members resigned from Jordan’s campaign. They join others who left just days before the primary last May, but they wouldn’t tell the press why because of the agreements. Jordan chalks up the latest round of resignations to normal political turnover. She says requiring staff members to sign such contracts is common. Her Democratic primary opponent, A.J. Balukoff didn’t use NDAs in his campaign. Neither does her Republican opponent, Lt. Gov. Brad Little. But President Trump required campaign staff and those at the White House to sign these kinds of contracts. An Idaho Democratic Party spokesperson says confidentiality clauses are sometimes used, but she can’t say how many campaigns use them.